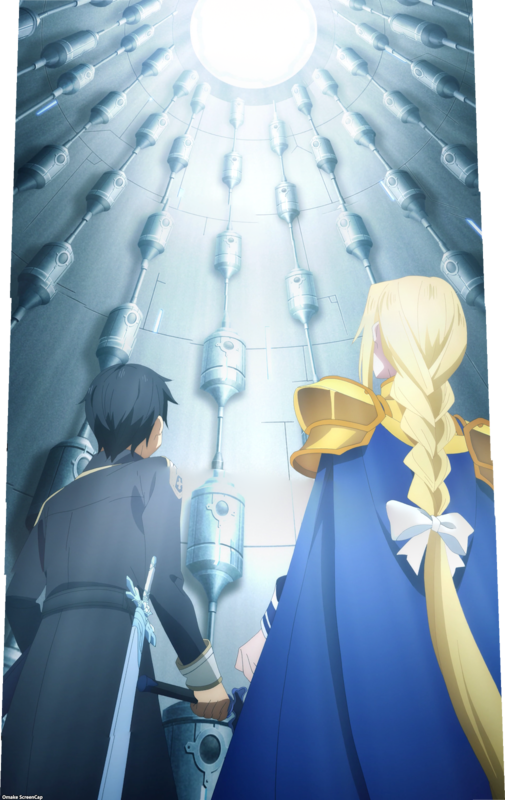 Alice and Kirito make their way to the top of the tower, facing Senators and the newest Integrity Knight Eugeo Synthesis 32. 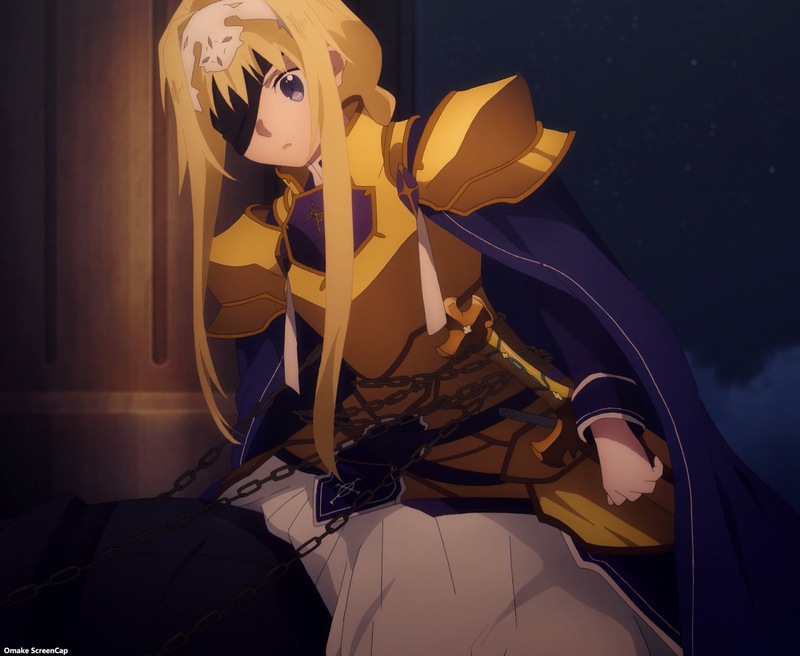 Kirito says he stopped the bleeding out of Alice's right eye, but we don't know if it's gone or not, like what happened to Eugeo's eye, that was later healed by the dorm master. Chudelkin can turn people to stone, but those stone people can still talk somehow. I wasn't expecting Bercouli to start talking out of that stone face. He tried to break the Seal of the Right Eye too, but couldn't for 300 years. The dorm master knew about it too, so there's been a lot of suppressed knowledge and rebellion during the Administrator's rule. Bercouli mentioned something about Synthesis being deceived by the labyrinth of memories. Definitely saw that with Eugeo last week. Why is the Blue Rose Sword in a block of ice? Or is it in a block of no ice? Come on, Kirito! Let's get to dual sword wielding! Aw, he says he can't. That's no fun. Alice says she only talked to the Administrator once, when she first woke up. She felt fear. Integrity Knights have never seen any other Senator except Prime Senator Chudelkin. Whoa. Just when you thought Administrator was deranged with how she used souls for Integrity Knights and lift operators, she totally enslaved the senators. They're the ceiling sentinels watching you fap, er, popping out of thin air when the Taboo Index is broken. This is like sci-fi enslavement with pods and nutrition goop. That alarm bell for feeding time truly captured the alien nature and fear of the unknown for the higher levels of the tower. That was really scary. Good job. Aw. It cut off right at the best part! 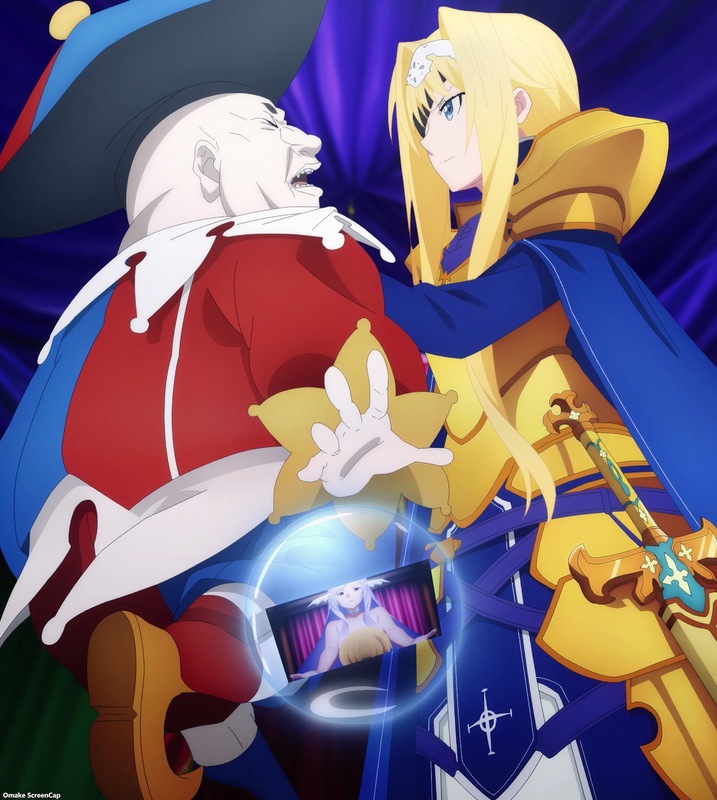 Chudelkin confirmed for Alice everything about what Kirito had been saying about Integrity Knights and the Synthesis ritual. New detail, though, with how there are two kinds of Synthesis. Normal and Forced. Alice seemed pretty healthy psychologically, so she wouldn't give up her memories willingly. Chudelkin looks like he used to be a regular senator, with normal height and proportions. Alice spent her first two years at the central cathedral as a sister-in-training, like the poison dagger girls, so they could get her Sacred Art Authority Level up before Synthesizing her. She used to sneak out to the festival with the sword tournament, which is how Synthesis 30 kind of remembered it. Wow. Chudelkin is a full-on comic book villain. He's like Joker, Riddler, and Penguin rolled into one. 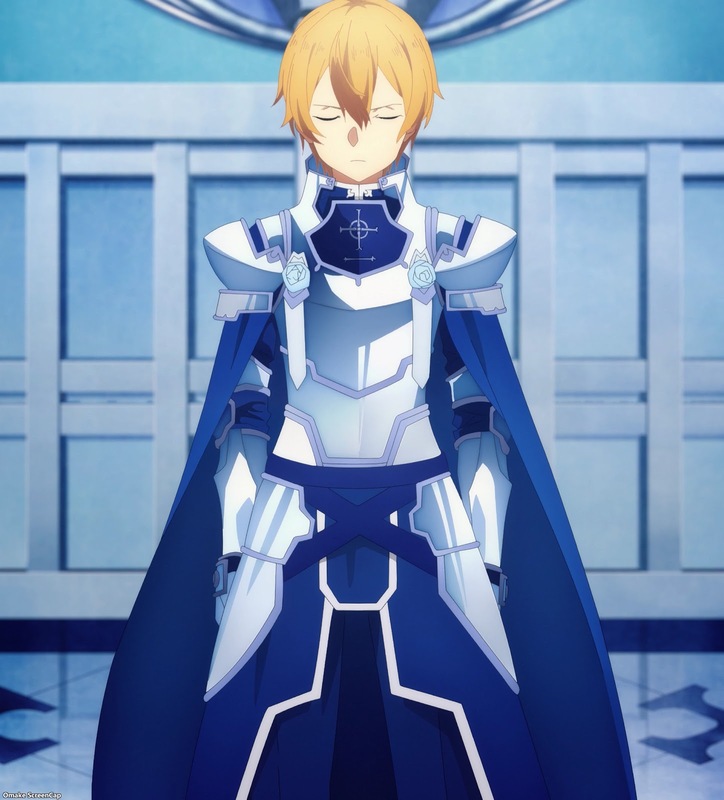 Not sure how Alice knows the ritual is over too soon, or maybe Eugeo shouldn't be fully equipped and capable so soon? 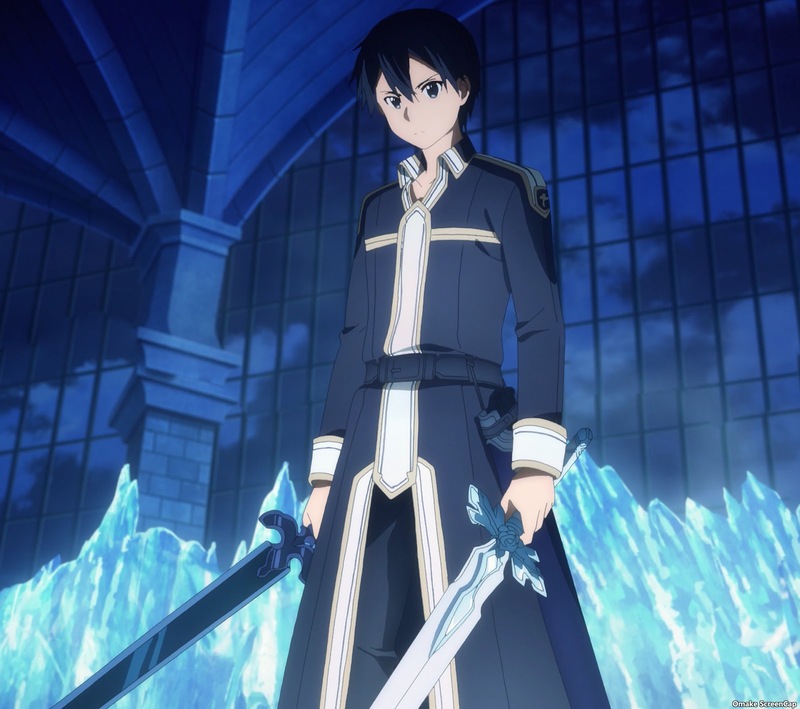 Kirito is the master, but Eugeo is the student with a new skill Incarnate Arms, that's not a Sacred Art or Perfect Weapon Control. Looks a cheat code in moving objects around the game map. 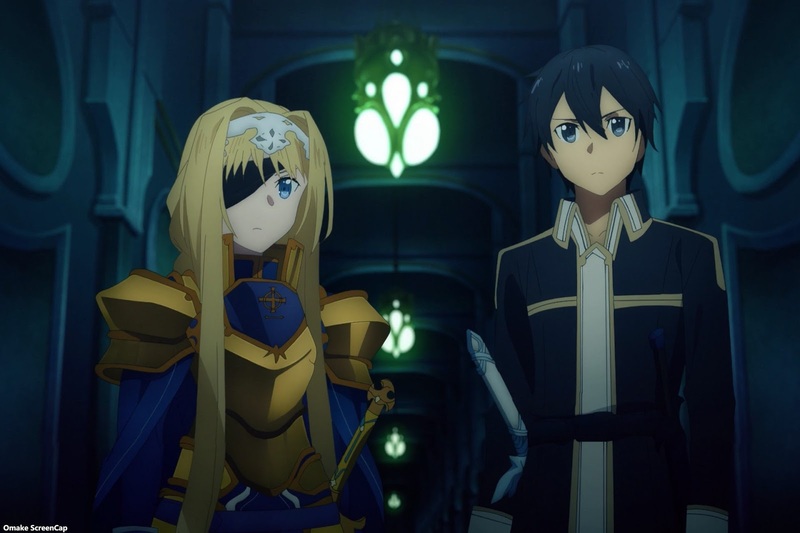 Next time, Kirito better put Eugeo down quick because we still have to mess around with the real world and the floating island and a possible murder bot invasion.